Two years ago, at CES 2012, a pleasant but rushed Dell rep met us outside the Sbarro in the Las Vegas Convention Center. He opened his briefcase and pulled out a black velvet case. Inside was the Dell XPS 13, a system that was among the first Ultrabooks to hit the market and among the first to employ carbon fiber in its chassis. Though the Dell rep went on to give us the lowdown on the XPS 13, he didn’t have to say a word. The system’s exceptional design spoke for itself. Of course, that was two years ago, and the Ultrabook has changed since then. Prices have dropped, hardware has improved, and battery life has shot through the roof. Dell’s response has been to merely keep up with the pace of innovation. Hardware has improved, but the core chassis is the same system we first laid eyes on at CES two years ago. This is a risky strategy, but Dell seems to think that there’s no need to fix what isn’t broken. 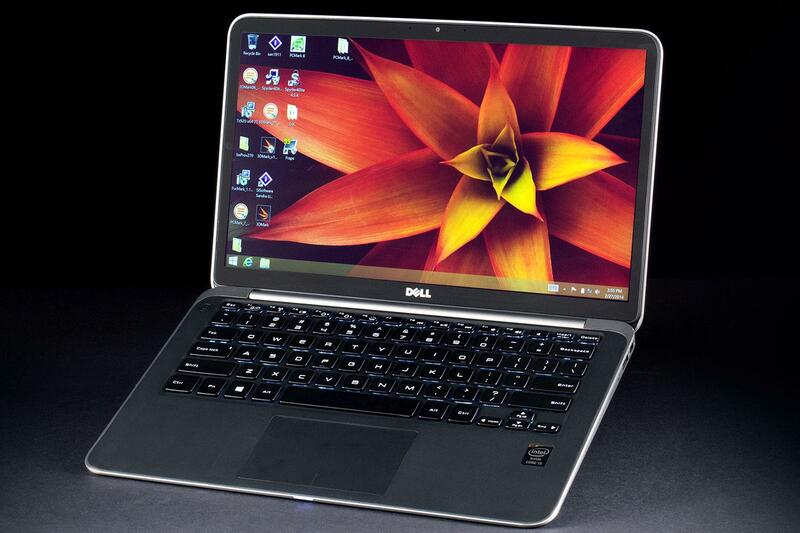 Fortunately, Dell has at least dropped the price; the base model is now just $1,049. Meanwhile, our review unit, which includes a 1080p touchscreen, Core i5 processor and 8GB of RAM, is $1,299. The question is, can this system’s aging design still hack it? The XPS 13 is the pinnacle of design in the Ultrabook market. The XPS 13 weighs three pounds, which is still respectable, and the chassis is no thicker than seven-tenths of an inch. 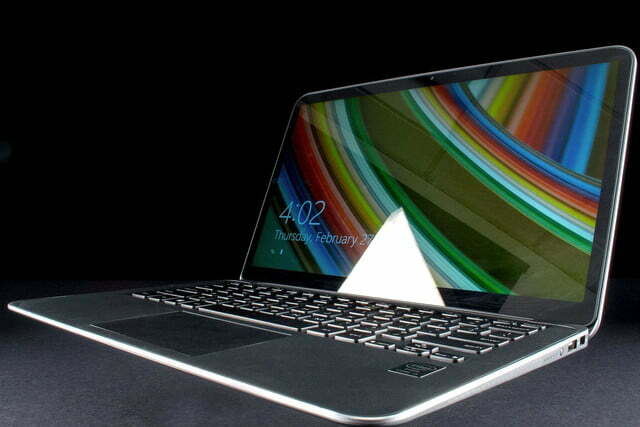 On top of that, the XPS 13 simply looks good. The bezel is still thinner than most competitors, and the soft matte-black interior wards away fingerprints, yet feels great. Dell’s success with this chassis is remarkable given how poorly the transition to carbon fiber has worked out for some other Ultrabooks, like Sony’s Vaio Pro 13. While Carbon fiber is technologically advanced, it often feels cheap when left on its own. 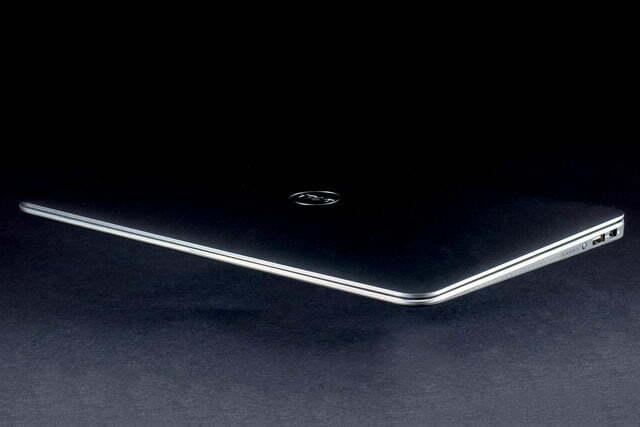 Silver metal accents reinforce the XPS 13, so the notebook is rock solid no matter how it’s handled. 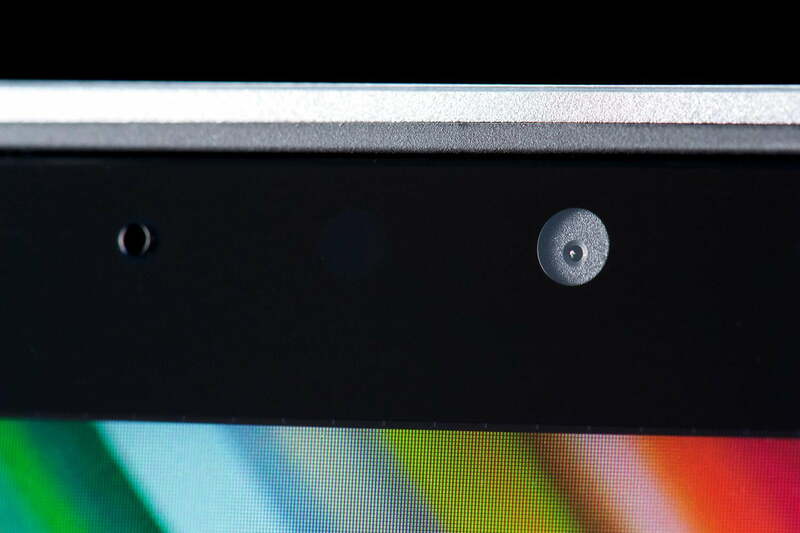 Even the thin display allows only the slightest hint of flex. Connectivity is a weak spot, however. 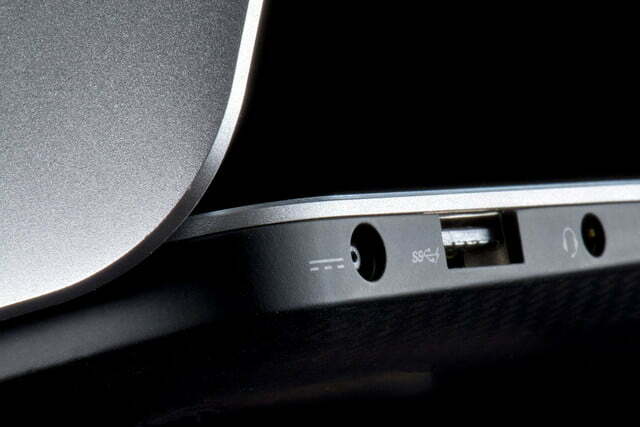 There are only two USB 3.0 ports and mini-DisplayPort is the sole video output. 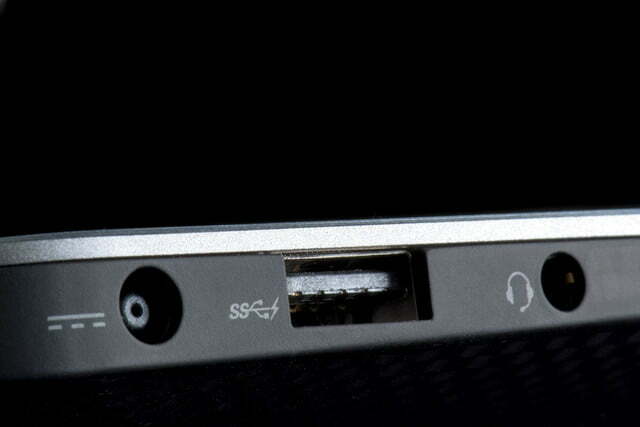 A combo headphone/microphone jack rounds out the options. There’s no SD card or Ethernet, but 802.11ac Wi-Fi is supported. Keyboard quality is an area where the XPS 13 hasn’t kept up with the pace of change. While it’s fine, with decent key feel and plenty of space, the keyboard lacks the pleasing, definitive key action found on the Apple MacBook Pro 13 with Retina or Lenovo ThinkPad Carbon X1. Backlighting is standard and offers two brightness options. They’re fairly dim, and are superior when used in dark environments. Light leakage is a bit of an issue, however, as the LEDs beneath several keys have an unobstructed line-of-sight to the user. The touchpad, which is about four and half inches wide and three inches deep, provides plenty of space. 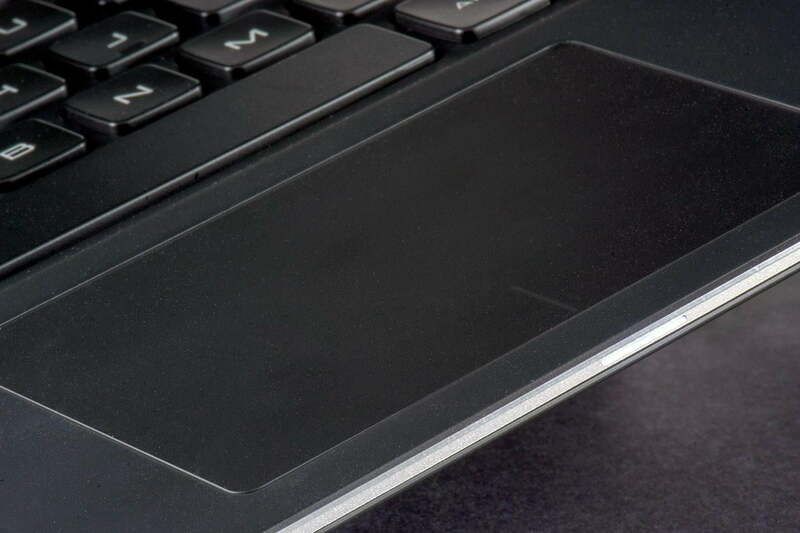 Surface friction is higher when compared with some competing touchpads, a trait we like because it provides a more tactile experience. Multi-touch works well, and we didn’t have much trouble with unwanted activation of the Windows 8 Charms Bar or multi-tasking gestures. All versions of the XPS 13 come with a 1080p display; the only difference is touch, which was present on our model but isn’t standard on the basic version. While the display can render only 94 percent of sRGB, (less than the Toshiba Kirabook, HP Spectre 13t or ASUS Zenbook UX301LA), we recorded a contrast ratio of 790:1, the best we’ve ever seen on a laptop. Black levels are solid, and maximum brightness reaches an absurd 394 lux, a figure beaten only by Dell’s own XPS 15, which managed 400 lux. Both the Toshiba Kirabook and HP Spectre 13t are more than 50 percent dimmer at maximum. Subjectively, the high contrast ratio leads to an excellent viewing experience. Dark scenes have depth, colors are vibrant, and the display is sharp enough to show significant detail when fed the right content. Audio quality isn’t bad, either. Though not astoundingly loud at maximum volume, the speakers are well balanced. There’s little distortion, and bass doesn’t overwhelm or muddy mid-range sound. Some users will find the listening experience strong enough to make external speakers unnecessary. Our XPS 13 shipped with typical Ultrabook hardware, including an Intel Core i5-4200U processor, which generated mid-range results. 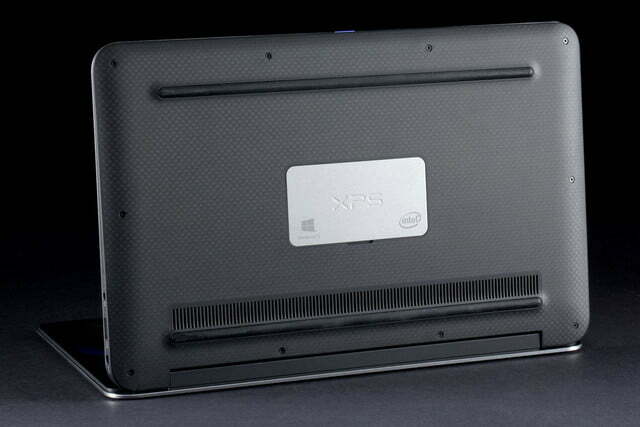 The XPS 13 scored 38.79 GOPS in the SiSoft Sandra Processor Arithmetic test and 7,079 in the 7-Zip file compression test. These numbers are average; the new Toshiba Kirabook managed a better score of 7,403, though that sported a higher-tier Core i7 processor. The Lenovo ThinkPad X1 Carbon however, scored 7,062 when we reviewed it, and was equipped with the same CPU found in our XPS 13, which largely explains the near-identical 7-Zip score. The XPS 13 more than held its own in PCMark 8’s storage test. The Kirabook scored 4,978, the HP Spectre 13t scored 4,903, and the Lenovo ThinkPad X1 Carbon scored 4,913, so the XPS 13’s performance here is in the range we expected it to be. 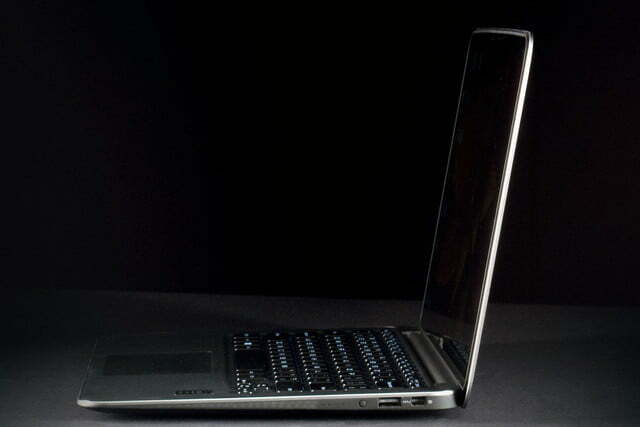 Like most Ultrabooks, this system relies on Intel integrated graphics, which delivered ho-hum results. 3DMark’s Cloud Gate benchmark came in at 4,507 while the more demanding Fire Strike benchmark scored 627. These figures beat the Kirabook and HP Spectre 13t, and virtually tie the Lenovo ThinkPad X1 Carbon, but the difference is so small that it’s almost irrelevant. Real-world game testing with League of Legends cranked out an average of 52 frames per second at medium detail, with a minimum of 32 and maximum of 69. Turning the detail up to very high reduced the average to a still-playable 30 FPS with a minimum of 20 and maximum of 44. While the XPS 13 is far from a gaming notebook, it can at least handle basic 3D titles. As mentioned, the XPS 13 is only three pounds, a figure that’s now about average for an Ultrabook of this size. Still, that’s not a lot, and it makes for a system that’s easy to carry or pack for a trip. The power brick isn’t particularly small, but it’s rounded, so the power cord can easily wrap around it, which can come in handy. Despite its age, the Dell XPS 13 remains one of the most attractive Ultrabooks on the market. The XPS 13 has always offered strong battery life, and the new Intel 4th-gen processor only helps it improve in this area. Our Peacekeeper web browsing benchmark required an astounding seven hours and forty-eight minutes to eat through a full charge, a figure that beats every Ultrabook except the Acer TravelMate P645, which lasted eight hours and two minutes. The HP Spectre 13t gave out after six hours and two minutes, while the Toshiba Kirabook lasted only four hours and twenty-six minutes. Our wattmeter indicated that this system can consume up to 12 watts at idle with the display set to maximum, which seems to contradict the excellent battery life results. However, because the backlight is so bright, it’s entirely usable at 30 to 40 percent. At that level, the system consumes 8 to 9 watts. 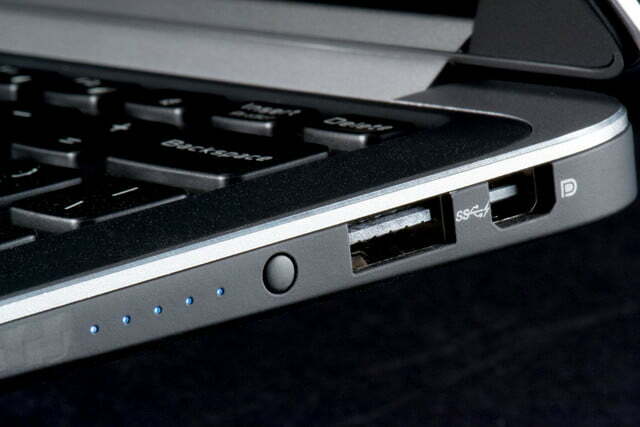 Full load increases power draw to 31 watts, which is about average for an Ultrabook. While the large battery provides excellent endurance, it also leaves minimal room for cooling, and the XPS 13 runs warm as a result. We measured a maximum external temperature of 93.1 degrees Fahrenheit at idle, which rose to 109 degrees at full load. Only the Acer Travelmate P645 has similar heat issues, and most competitors, like the Lenovo ThinkPad X1 Carbon and HP Spectre 13t, run about 10 degrees cooler. The high external temperatures forced the system fan to redouble its efforts. 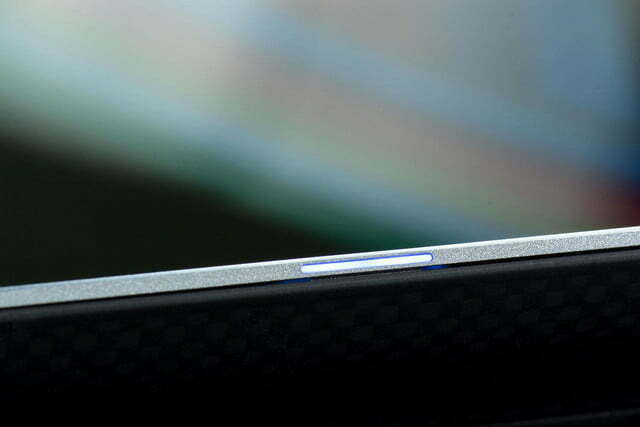 Like most Ultrabooks, the XPS 13 delivers minimal fan noise when idle, but it spiked to 51.2 decibels at load. Toshiba’s Kirabook emits 46.1dB at load, the Acer TravelMate P645 reaches 44.3 dB, while the Lenovo ThinkPad X1 Carbon hits only 41.5dB, making the X1 the quietest of the bunch. Dell deserves credit for recognizing that folks paying well over $1,000 for a laptop don’t want bloatware. Our review unit came with no pre-installed desktop items, and only a handful of Start Screen apps, most of which are Dell’s own cloud storage, backup and registration utilities. McAfee Internet Security was installed, but it was also registered, so it didn’t bother us with pop-ups. 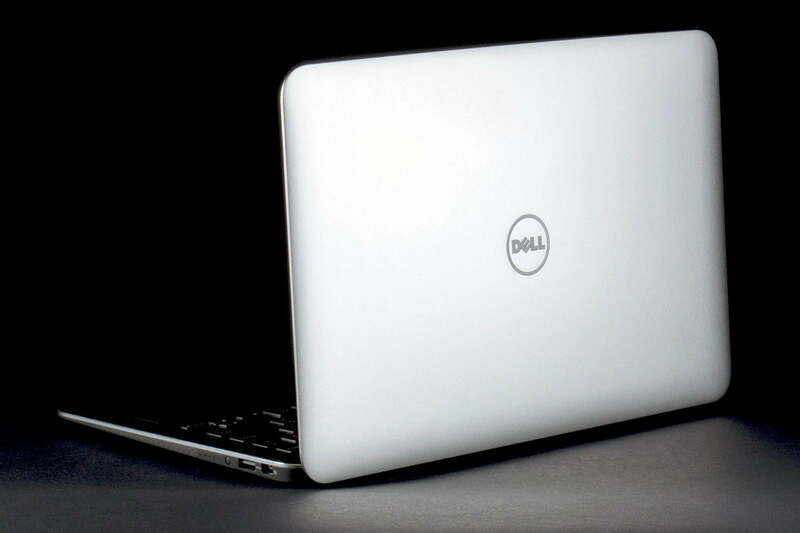 Despite its age, the Dell XPS 13 remains one of the most attractive Ultrabooks on the market. The system’s carbon-fiber chassis, extremely thin bezels and elegant appearance combine to create an aesthetic that can easily compete with Apple’s MacBook Pro, and puts alternatives like the Toshiba Kirabook and Acer Travelmate P645 to shame. The XPS 13 is the pinnacle of design in the Ultrabook market. And there’s more to it than good looks. The display offers the highest contrast ratio we’ve ever seen from a laptop, and the XPS 13’s battery life score is the second-best we’ve ever recorded, trailing the Travelmate P645 by just fourteen minutes. Even the speakers are good. 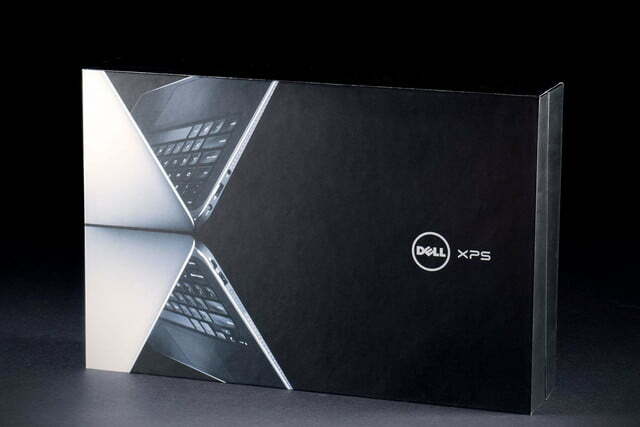 In fact, in a strange twist of fate, Dell’s fortunes have improved since we last reviewed the XPS 13. ASUS has bumped the price of its latest Zenbooks to well over $1,500, which simply doesn’t compete with the XPS 13. Lenovo’s new ThinkPad X1 Carbon suffers from a lackluster display, the new Acer Travelmate P645 doesn’t have the premium feel that it should have, and even the excellent HP Spectre 13t is inferior, though also several hundred dollars less expensive. Only Apple’s MacBook Pro 13 with Retina is better, and even then, the margin of victory is narrow. And here’s the best part; while our review unit sells for $1,299, which seems reasonable, you can also snag a base model for $1,049. This downgrades the processor to a Core i3, cuts RAM to 4GB, and ditches the touchscreen. However, you still receive a 1080p display, a great chassis, and excellent battery life. That seems like a heck of a value to us. 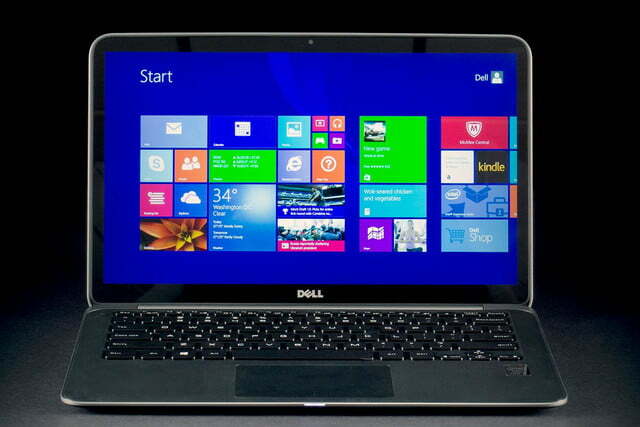 In the end, no matter the version you opt for, it’s hard to go wrong with the XPS 13.